When a wine is designated a grand cru, a term meaning “great growth,” it’s traditionally an indication that the grapes hail from the best land of an already-esteemed vineyard. And since there’s a saying, “Grapes make wine, people make beer,” it sort of follows that when a beer is designated as a grand cru, it’s an indication that the brewer is putting his or her best foot forward. So it’s a bit perplexing that Santa Barbara’s brand-new Night Lizard Brewing would put that name on one of their first-ever beers (in the grand scheme). 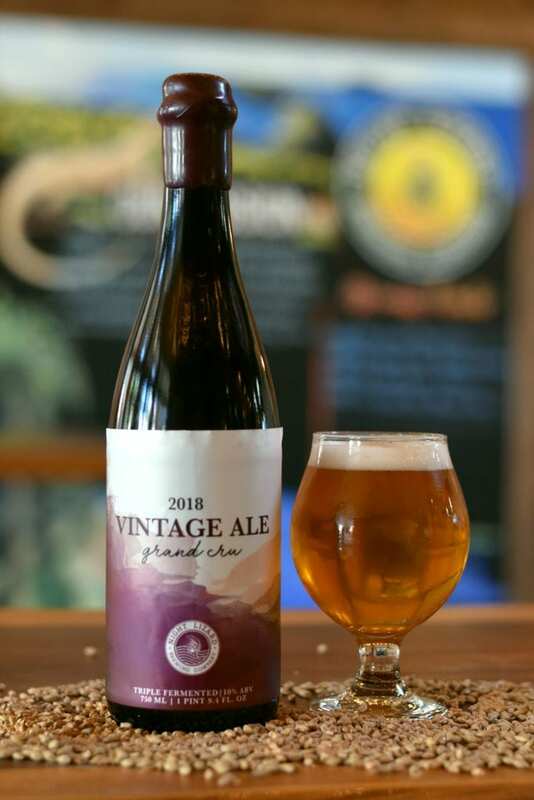 Given that grand cru isn’t a specific style, brewer Chip Nasser made a 10 percent-alcohol beer that could be described as a Belgian strong golden ale or an imperial saison. It’s fermented with French saison yeast from the Senne Valley. Despite that region’s inextricable connection to funky, wild lambics, the result is not remotely lambic-y or sour. Consumed on draft, the beer opens with a great aromatic hit of pears and cloves and finishes with a taste of apples ’n’ honey. It’s also the first bottled release — with the bottle conditioned and wax-dipped for optimal maturation — making this ripe for buying now yet also for gift-giving if you’ve got any birthday parties coming up. The Grand Cru Vintage 2019 will contain a component of this batch of Vintage 2018, so the 2020 batch ought to be in the solera method, featuring little bits of each vintage moving forward.